It would appear that President Barack Obama does not want to pick this fight and waste his political capital … Some one just fell on their sword, again. The first failure of the Barack Obama second term. Obama loses his first pick. Embattled UN Ambassador Susan Rice is withdrawing her name for consideration to be Secretary of State. As reported at NBC Rock Center, Rice stated that she did not want to be a distraction to Barack Obama’s second term and agenda. She thought that her nomination would be politicized and prolonged. Sorry, it’s too late for that. Maybe Susan Rice should have thought about not politicizing the terror attack on the Benghazi. Libya consulate that saw four Americans murdered. Rice then many days later and after she had seen the confidential information as to what really happened, went on five network Sunday talk shows and lied to the American people blaming the attacks on a video tape. 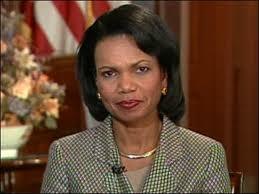 Of course Rice was a political “dead secretary of state nominee walking”. She already had many issues that should cause pause for many to question why she mislead America on Benghazi. However, when she met with GOP Senators McCain (AZ), Ayotte (NH), Graham (SC) and RINO Susan Collins … all came out of the meeting with more concerns and questions that before. Sorry, if you can’t win over moderate Collins for confirmation, you have no chance. UPDATE I: At Michelle Malkin it is being rumored that Sen John Kerry (D-MA) was seen in Hillary’s office measuring the curtains, HA! UPDATE II: Well we knew this was coming from the liberal media. 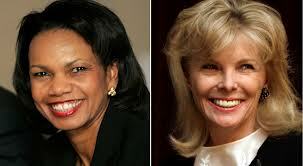 Of course Susan Rice was forced out because as Andrea Mitchell says because On Susan Rice was a “Woman Of Color”. The MSM is just vile. Of course Andrea Mitchell could not be reached for comment as to former Republican President George W. Bush nominating both Colin Powell, a man of color and Condeleeza Rice, a woman of color, to the Secretary of state position. Also, so is Mitchell saying that its sexism for female Senators Ayotte and Collins to have an issue with Rice as well? 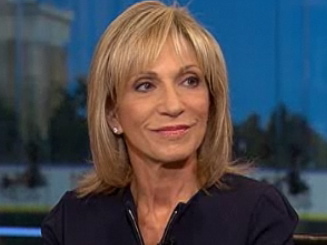 ANDREA MITCHELL: I think this had become sort of an impossible challenge for her to be confirmed, that she realized that, the White House realized it as well. I think they know they are on good political solid ground, as you were just pointing out. This is not going to help Republicans at all, the fact that a woman and a woman of color has been forced out of a confirmation process even before she was nominated. Augusta National has finally admitted woman to the famed golf club, former Secretary of State Condoleezza Rice and South Carolina financier Darla Moore. For the first time in the history of Augusta National, the famed golf club where the Masters is played and the home of the green jacket … woman have been admitted as members. Augusta National Golf Club has admitted female members for the first time, granting entry to former Secretary of State Condoleezza Rice and South Carolina financier Darla Moore. The Drudge Reports has an exclusive, Mitt Romney has narrowed the Vice President choices to run on the GOP ticket in 2012 and the frontrunner is Condoleezza Rice. How big would this be for the Romney ticket? Choosing Condi, the former Secretary of State and National Security Adviser, would provide instant foreign policy street cred, a brilliant and intelligent woman and take away the race card from the Democrats. Let alone all but sure up the Independent vote for Romney. Late Thursday evening, Mitt Romney’s presidential campaign launched a new fundraising drive, ‘Meet The VP’ — just as Romney himself has narrowed the field of candidates to a handful, sources reveal.